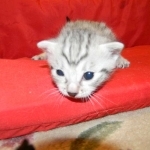 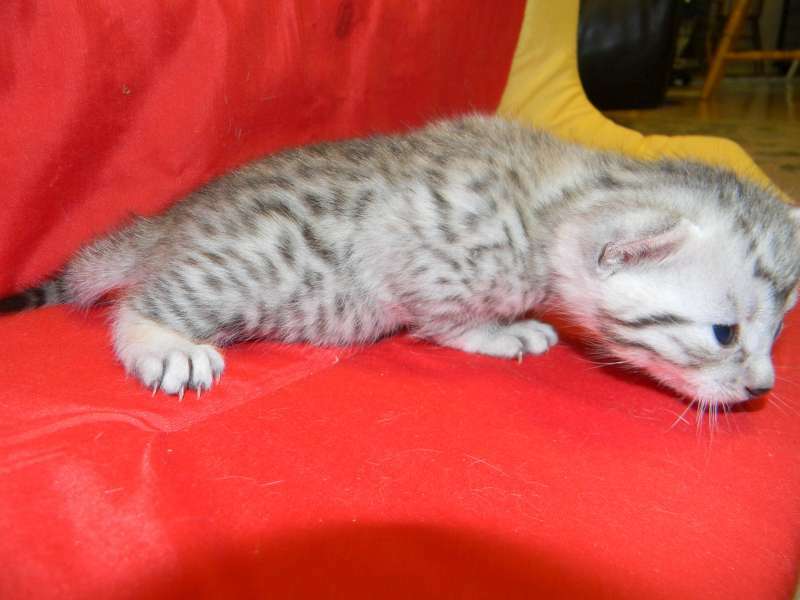 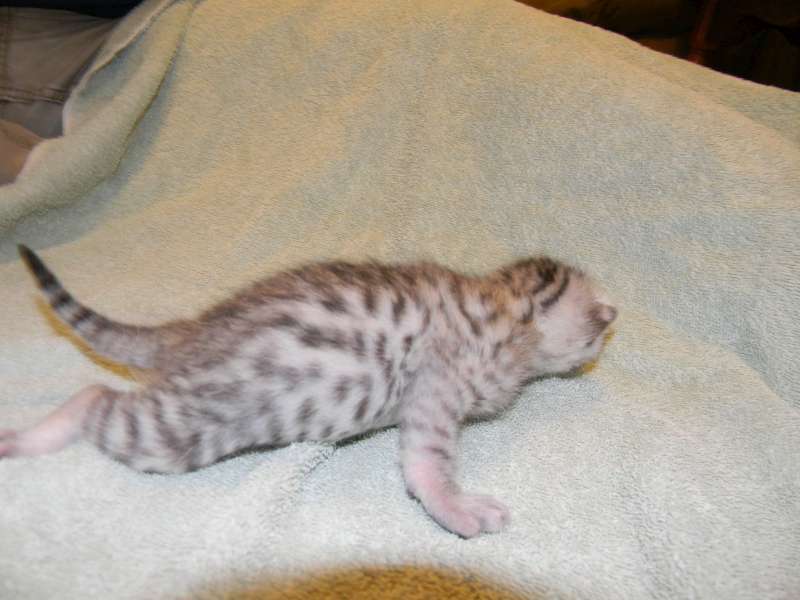 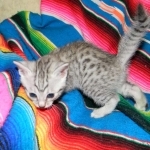 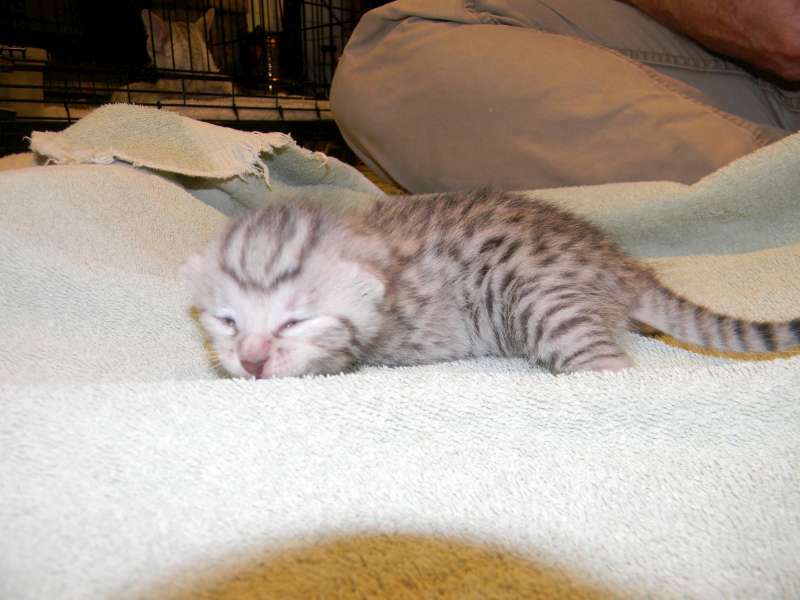 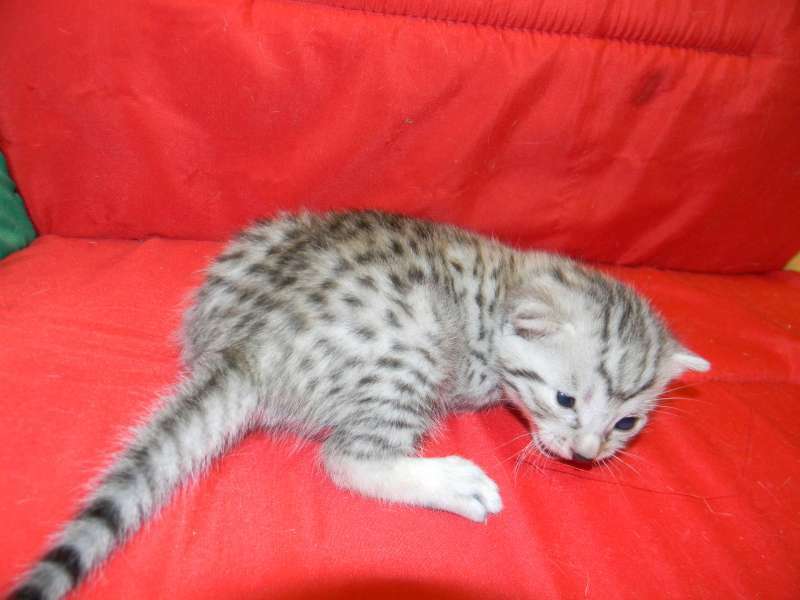 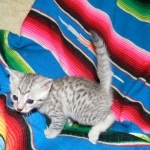 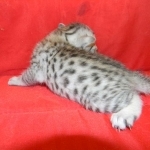 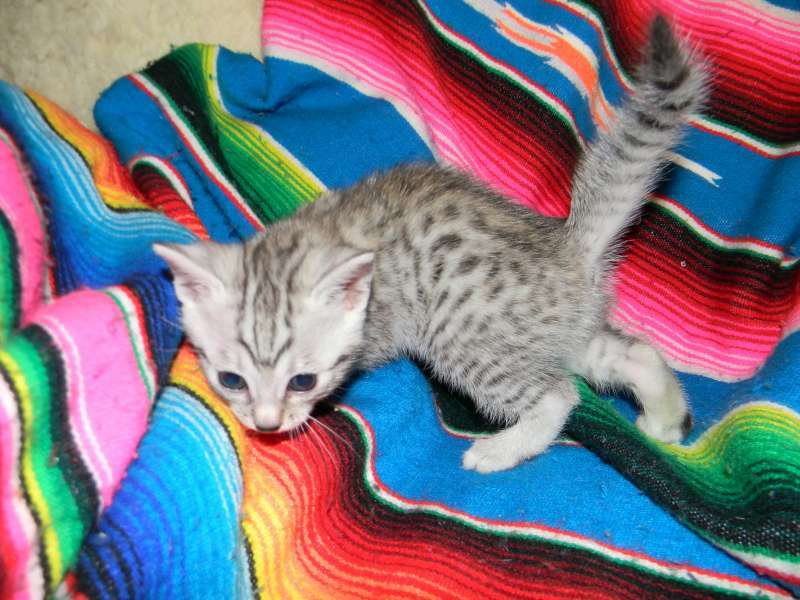 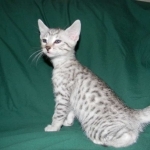 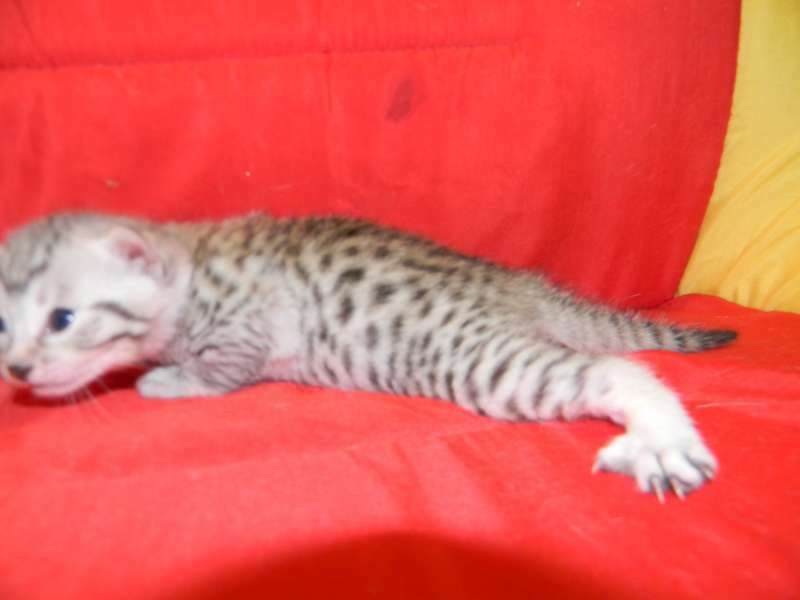 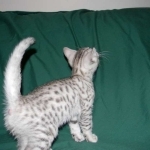 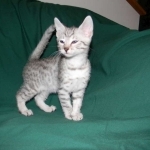 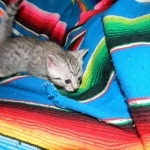 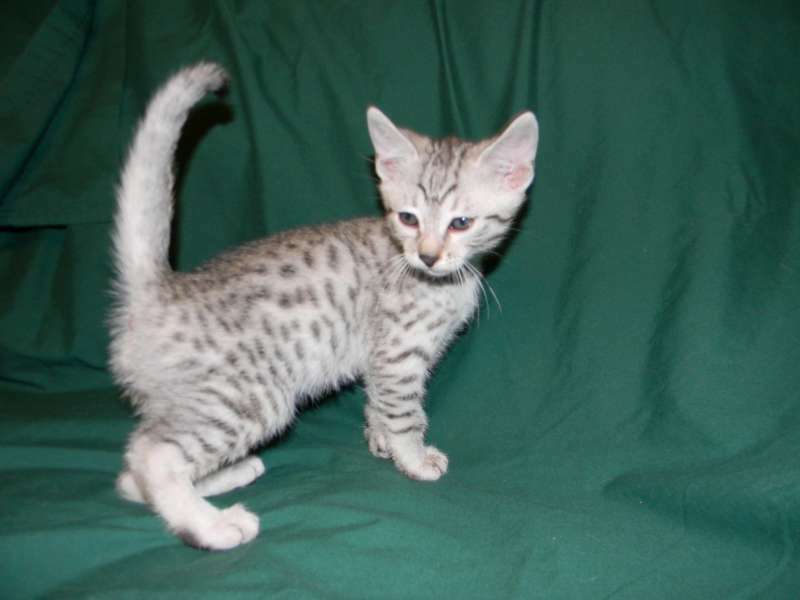 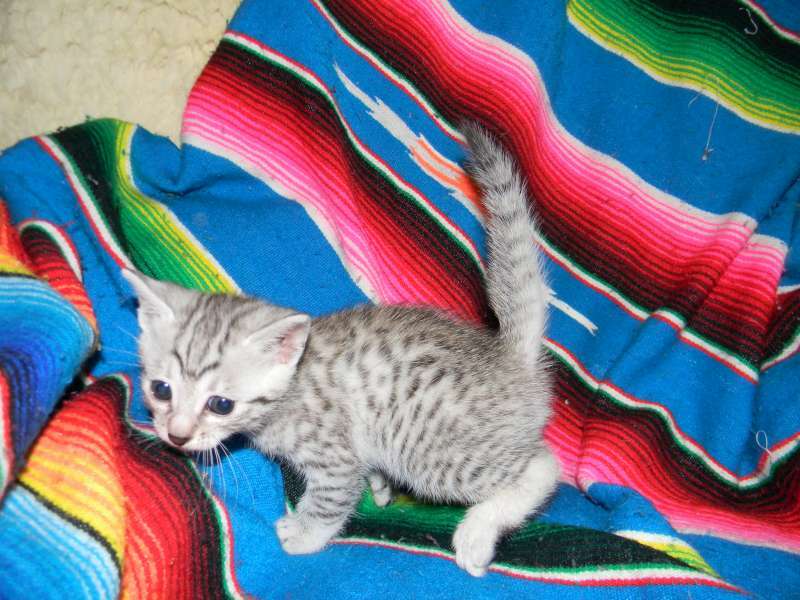 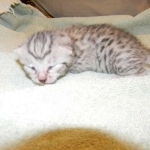 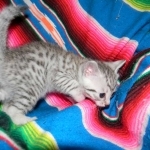 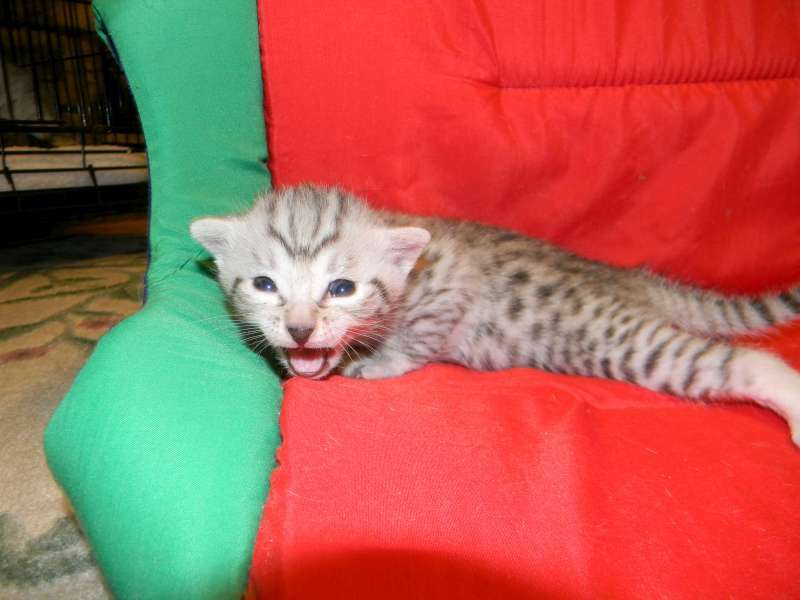 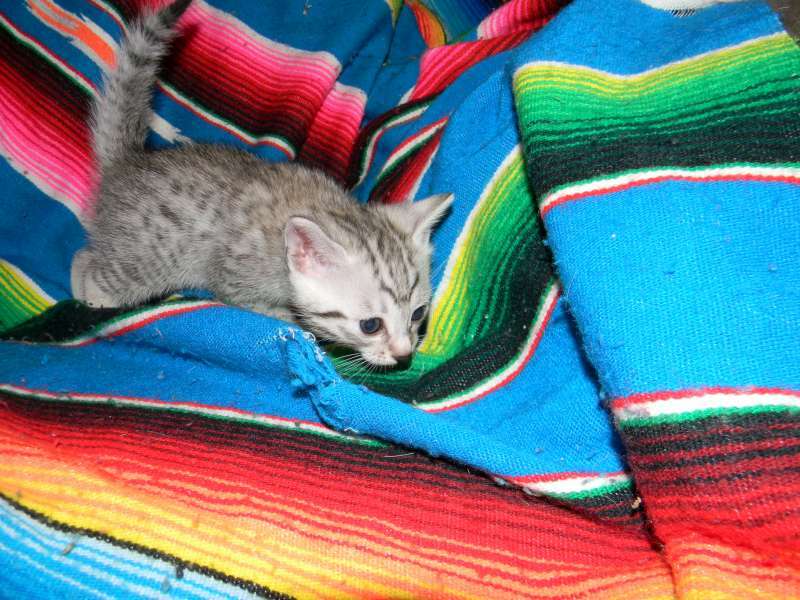 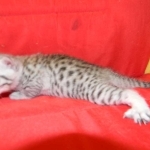 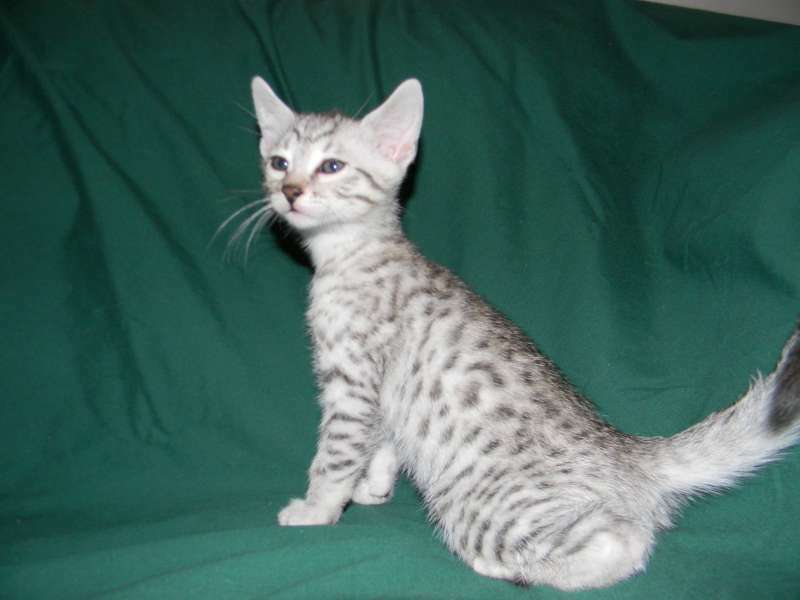 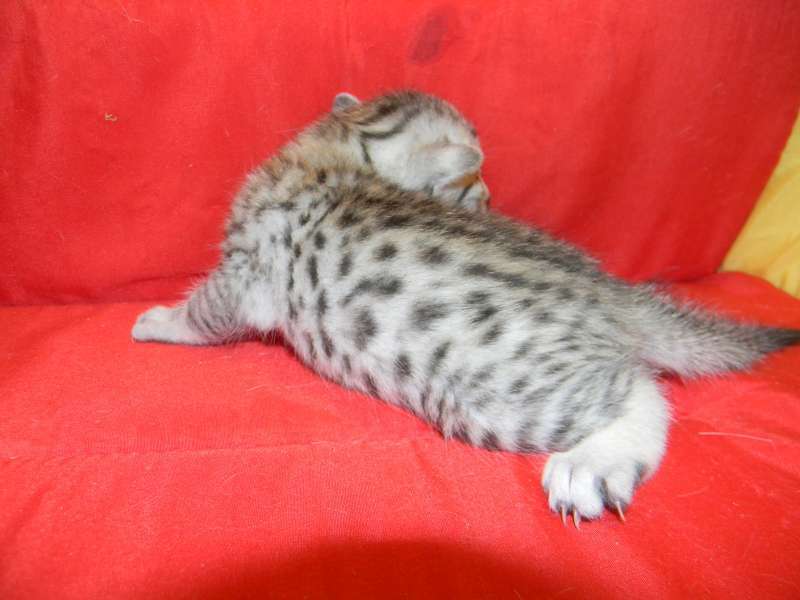 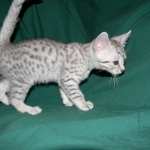 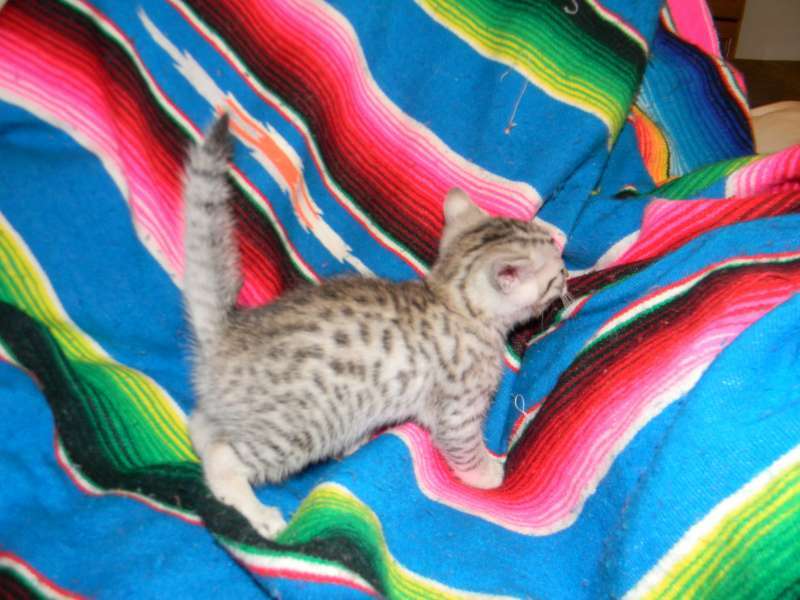 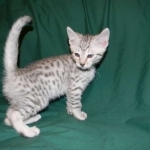 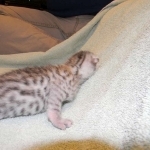 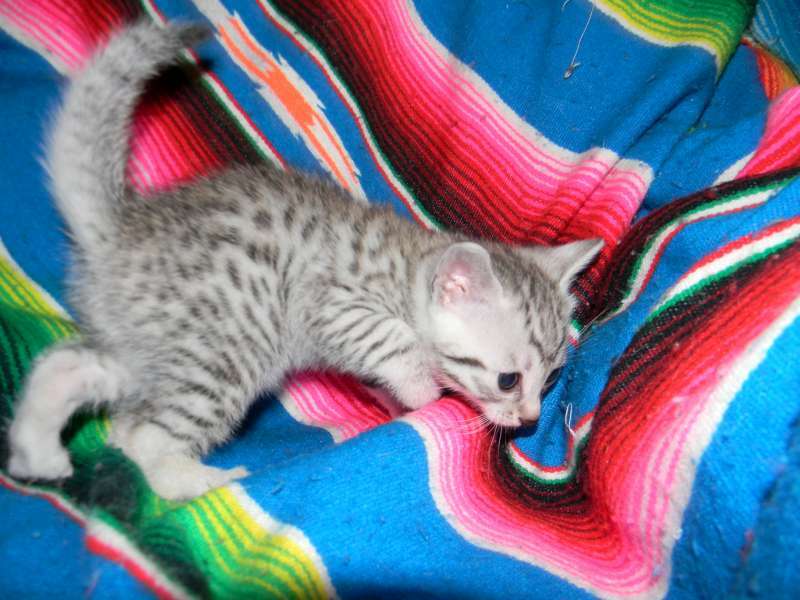 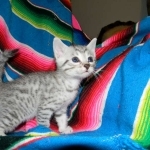 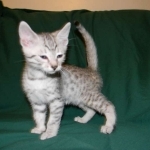 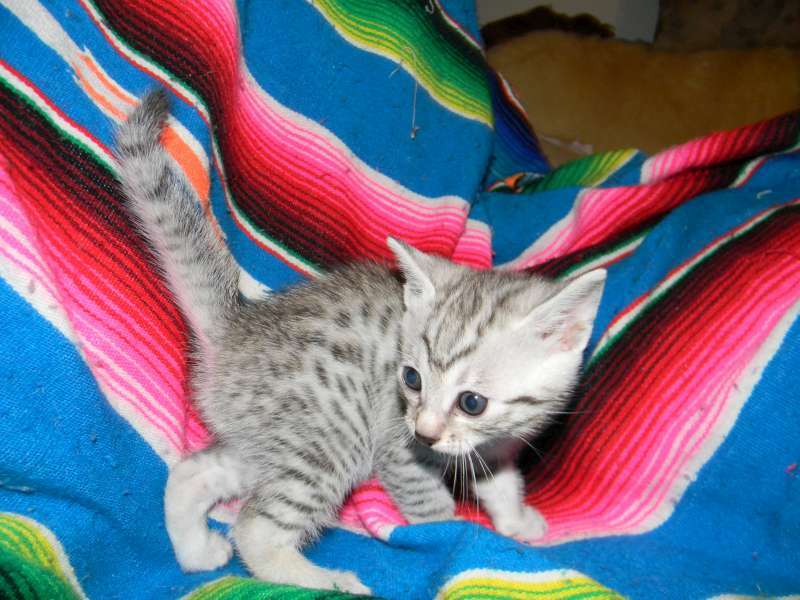 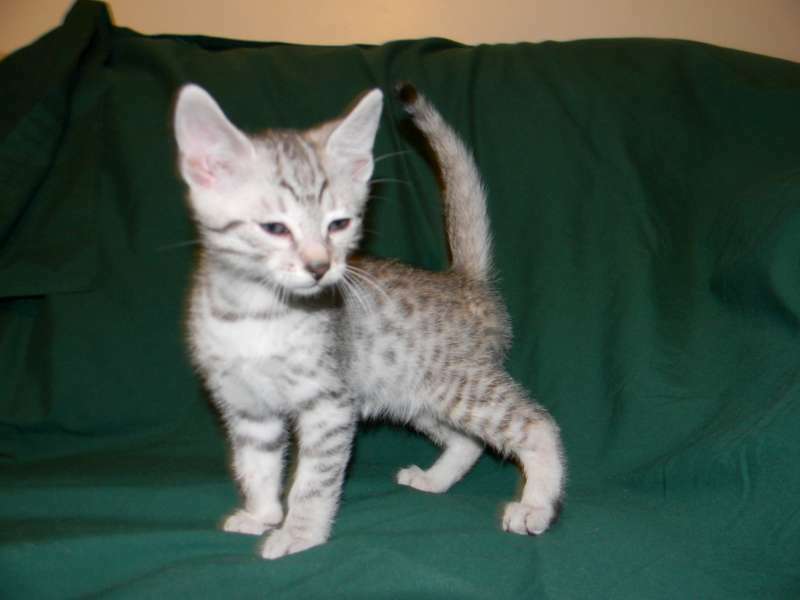 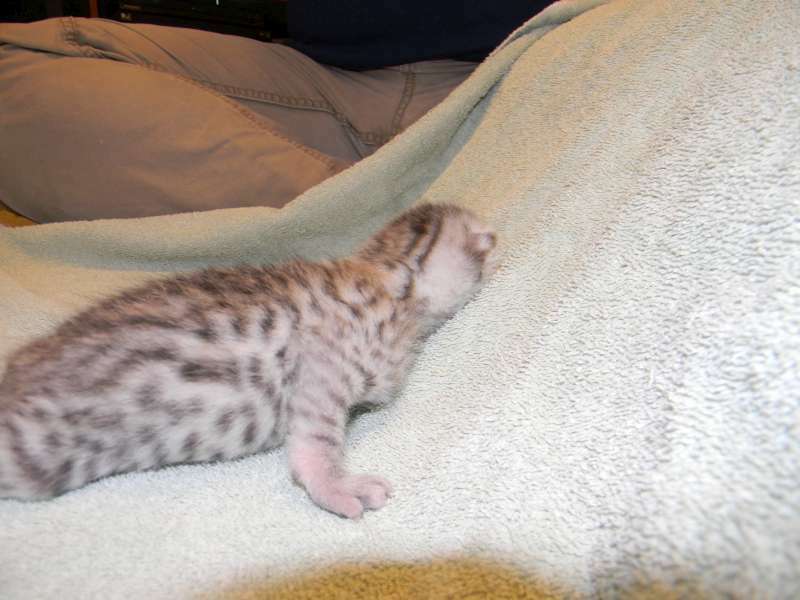 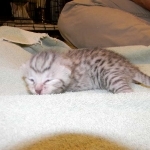 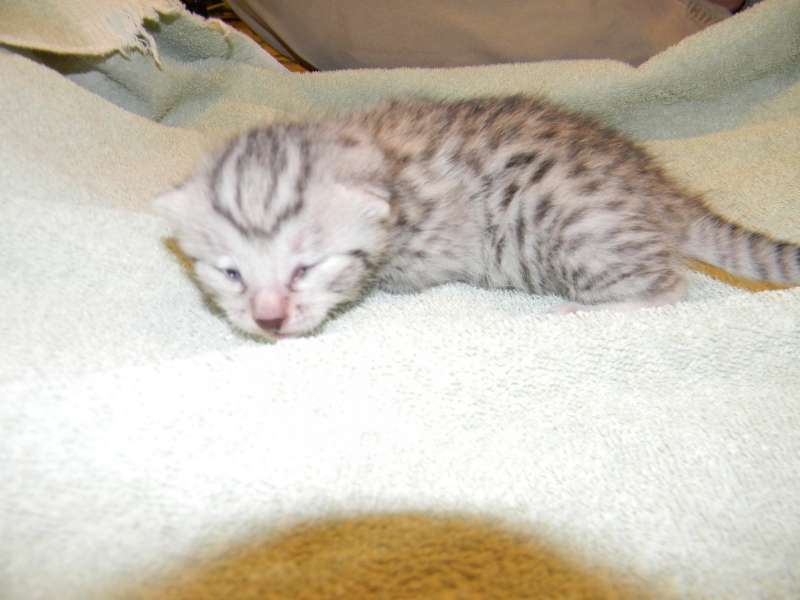 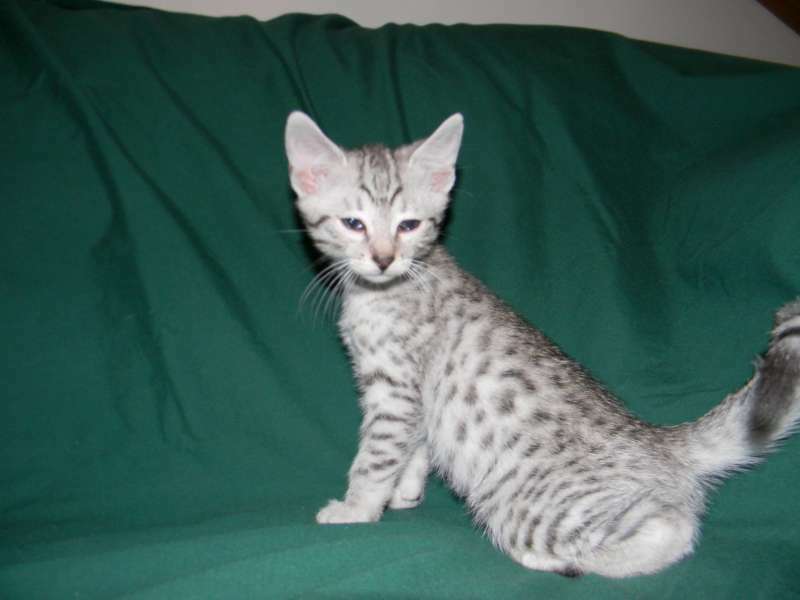 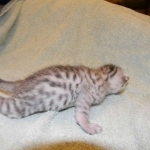 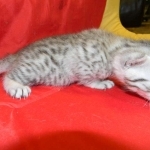 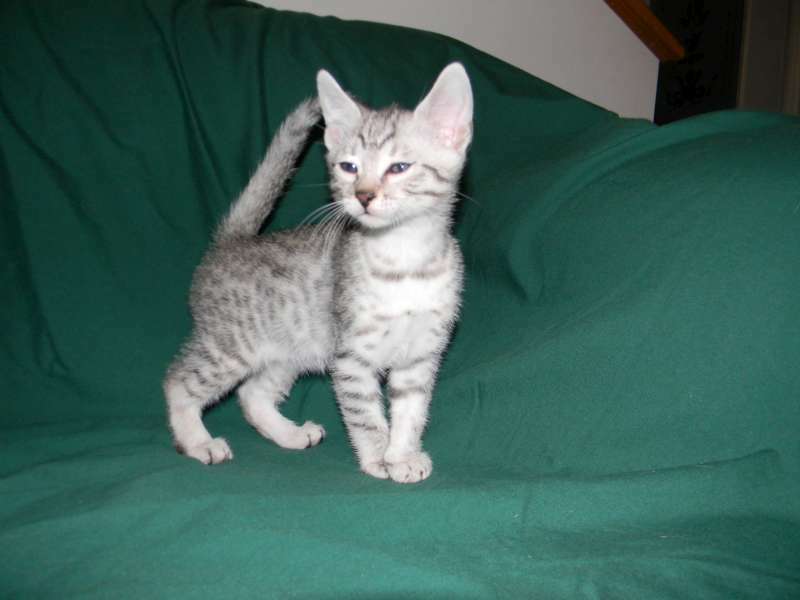 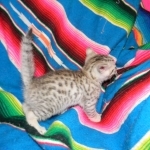 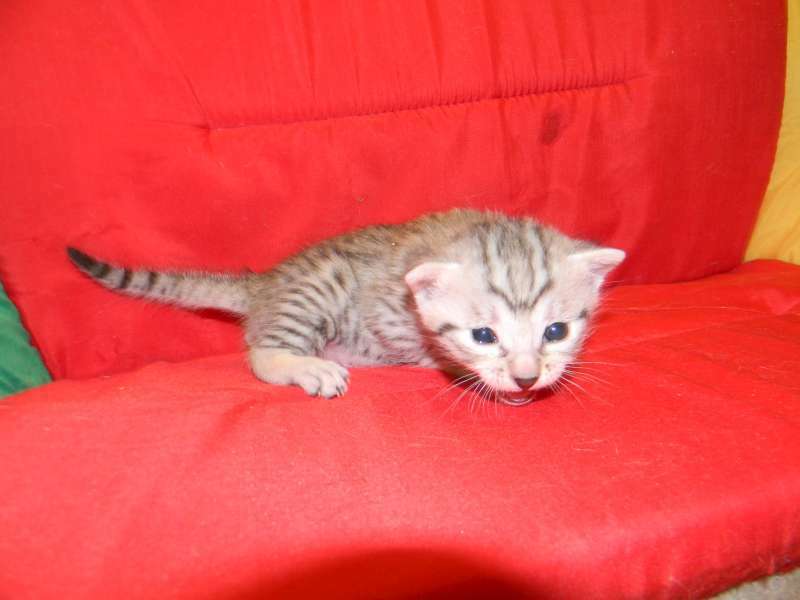 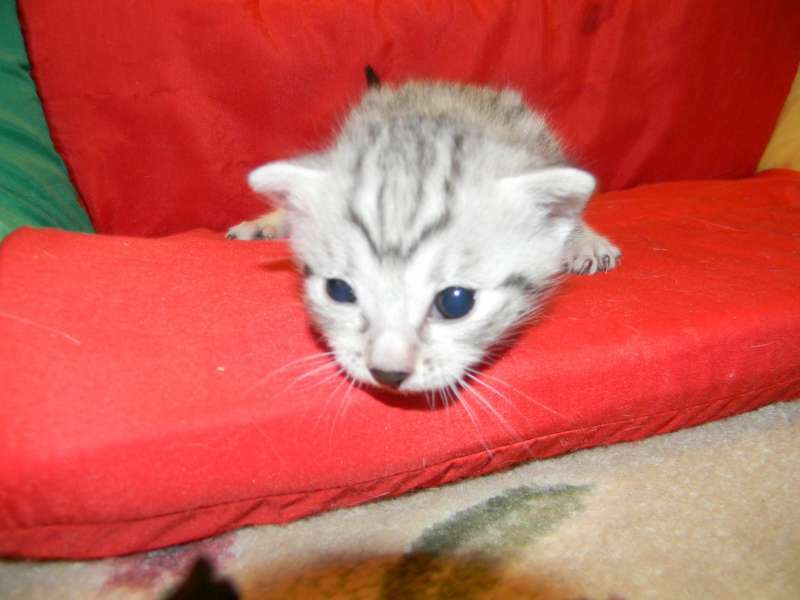 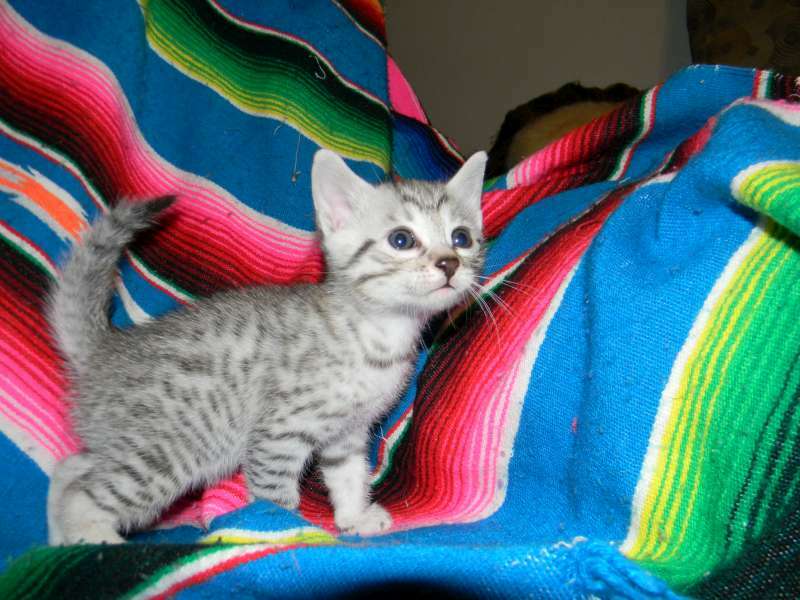 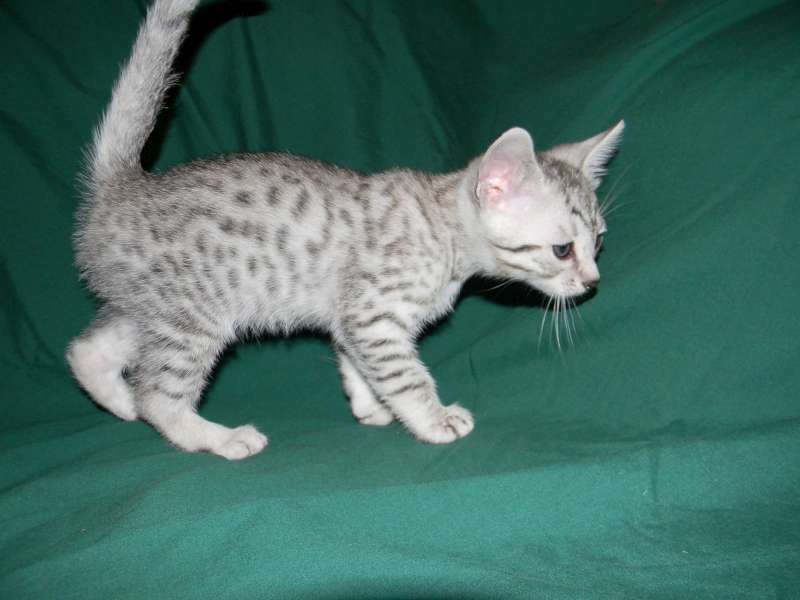 This beautiful Mau by is the largest of his litter. 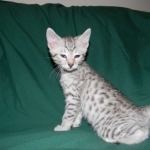 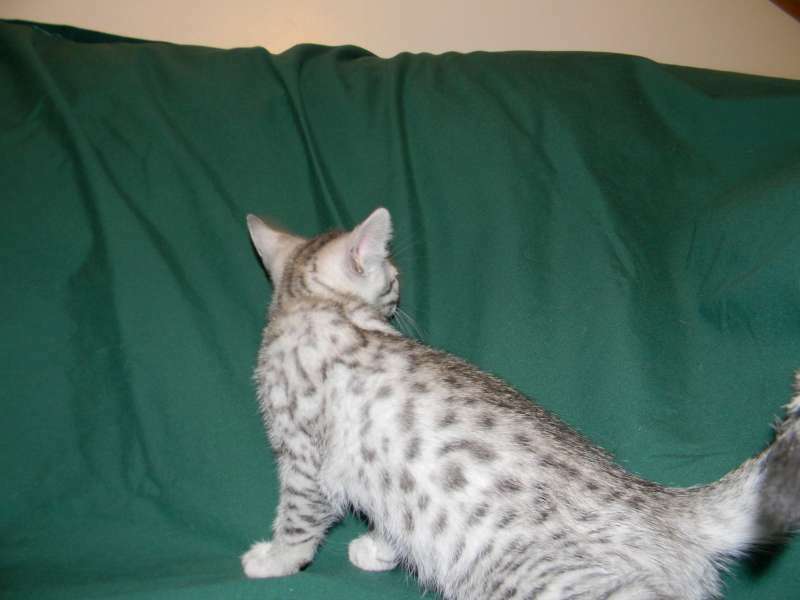 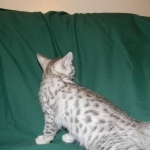 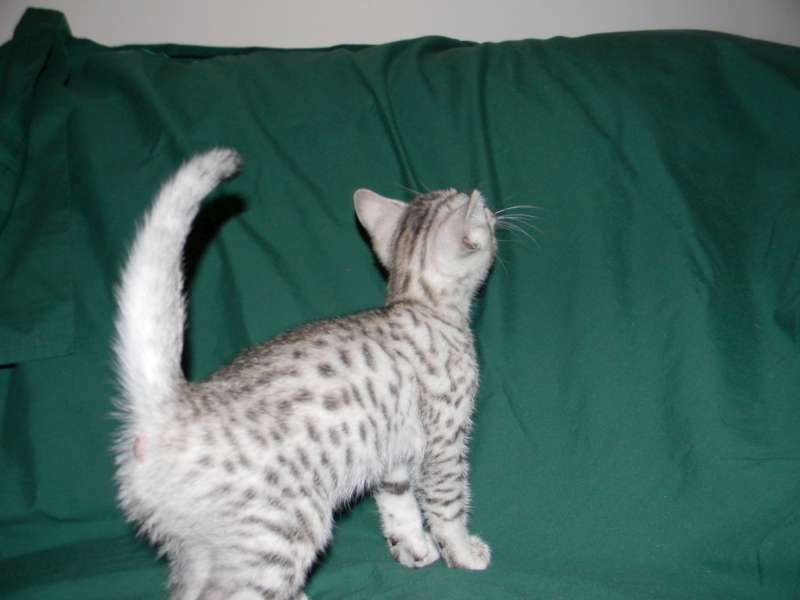 Sporting big bold spots he will be a stunning pet and loving companion. 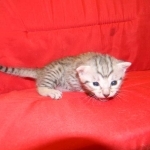 and will be going home to Travis in NY.